Courtesy of LC Real Estate LLC. Location! Location! Location! Great opportunity for investors. 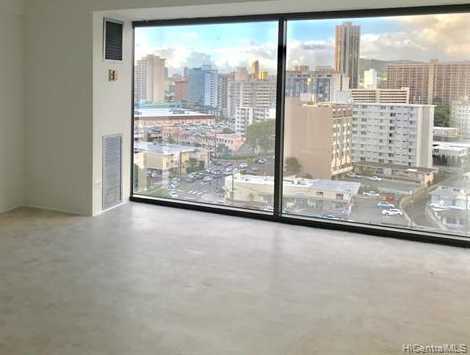 Own a FEE SIMPLE unit in the heart of Waikiki/ Ala Moana. Mixed use building unit is allowed to use for commercial or residential. This unit comes with one parking stall. Freshly paint and new flooring. Enjoy the numerous amenities and a Front Desk Concierge in the lobby where you can meet your guests. Walking distance to Convention Center, Ala Moana Shopping Center, Beach Park, restaurants, markets and many more...Ready-to-move-in condition. Don't wait! Call your agent today! Please, send me more information on this property: MLS# 201904202 – $238,000 – 1750 Kalakaua Avenue Unit 1412, Honolulu, HI 96826. Address: 6600 Kalanianaole Hwy #114, Honolulu, HI 96825 © 2019 Hawaii Life East Oahu | Oahu Real Estate Agency | Hawaii Real Estate. HI DRE #RB16090 All Rights Reserved. Agent Email Careers Real Estate Website Design by Home Junction, Inc.